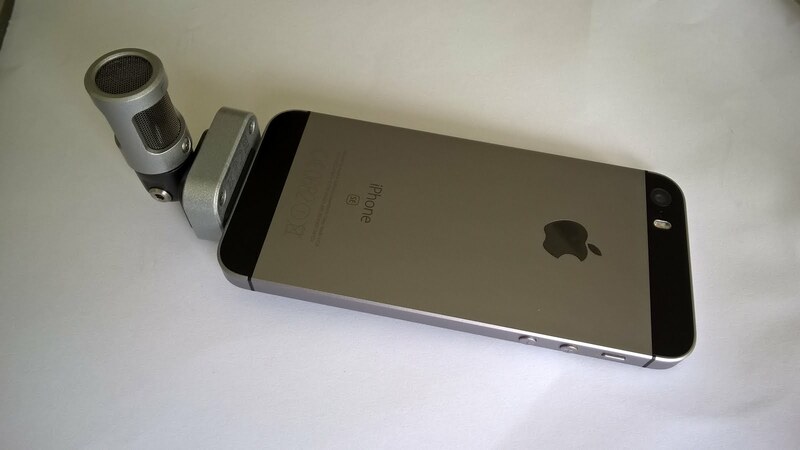 Shure Motiv MV88 attached to Apple iPhone SE. This is a great combo, the mic has an excellent SNR and user configurable dynamic compression and limiter which is saved on the mic itself. KILLER: The killer feature on the iPhone SE is its speed of autofocus utilising 'focus pixel' technology. Its very rare for autofocus to hunt on this device. PROS: The iPhone SE is a true Airninja device with it's 4 inch screen and unassuming appearance. It's a very powerful device with a f2.2 lens and has a pretty amazing software ecosystem. User configurable dynamic compression and limiter on the MV88 accessory microphone remains persistent, stored in onboard memory. Because the MV88 does not employ noise cancellation DSP it has no susceptibility to digital artefacts. The above video was shot using the iPhone SE and MV88 combo. CONS: The iPhone SE must be accessorised in order to record any stereo sound since the onboard mic array only records mono. This adds complication and decreases spontaneous opportunity. Once an accessory such as the MV88 is plugged into the lightning port on the device it's not possible to use a battery pack and record at the same time. The biggest flaw however is that without even more gear to mount the MV88 more central to the lens it hangs off one side giving an unnatural bias to the stereo sound particularly on close subjects. The MV88 in its case is another thing to carry and potentially lose out in the field. 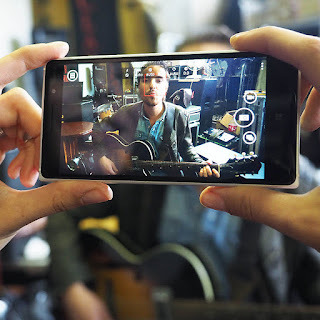 UGLY: no onboard stereo sound recording on the highest priced smartphone of its class. 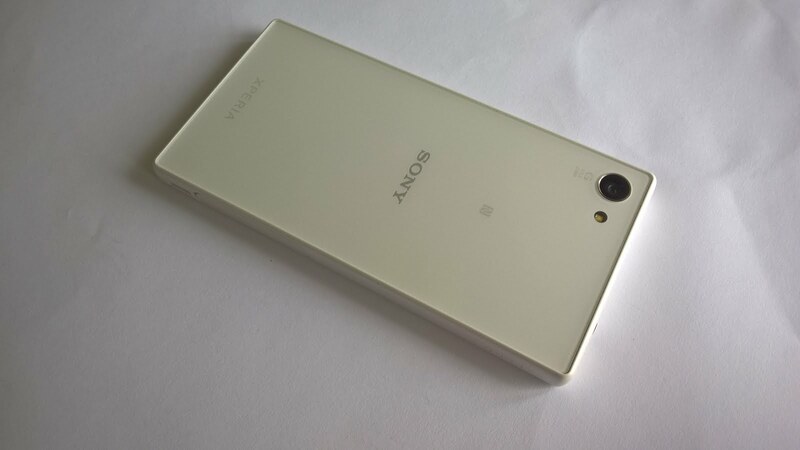 Sony Xperia Z5 Compact has a mic on the short side edges. 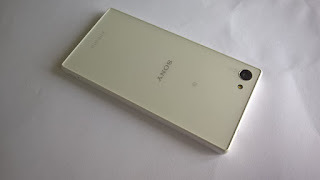 Slightly smaller than an iPhone 6S the Sony Xperia Z5 Compact with all its features was a very very close contender for Gold - however these awards have a strict focus on audio recording as the deciding factor. As decent as the Z5C is, it does not capture rich bass. KILLER: If you want to record sound in shallow water this is the only device certified to do it without requiring any special housing. PROS: The Sony Xperia Z5 Compact uses onboard microphone array to record binaurally with video captured through f2.0 lens. Whilst it may not be true hi-fi since the low-end is lacking somewhat, it does provide decent clarity and positional audio without need for any additional accessories. It's rugged design is dust and water resistant meaning this device can confidently go pretty much anywhere on the spur of the moment where other devices may require some forethought and accessorising. It's a compact device so remains discrete and unassuming. The video above shot was using only the Xperia Z5 Compact onboard mics. CONS: The Sony Xperia Z5 Compact audio can regularly be susceptible to quite nasty sounding digital artefacts, likely a result of ambient noise reduction. UGLY: The camera app shuts down after prolonged use due to overheating issues (for example you won't get an hour long take using 1080P at 60fps, the camera will overheat and shut off after ~45 minutes). 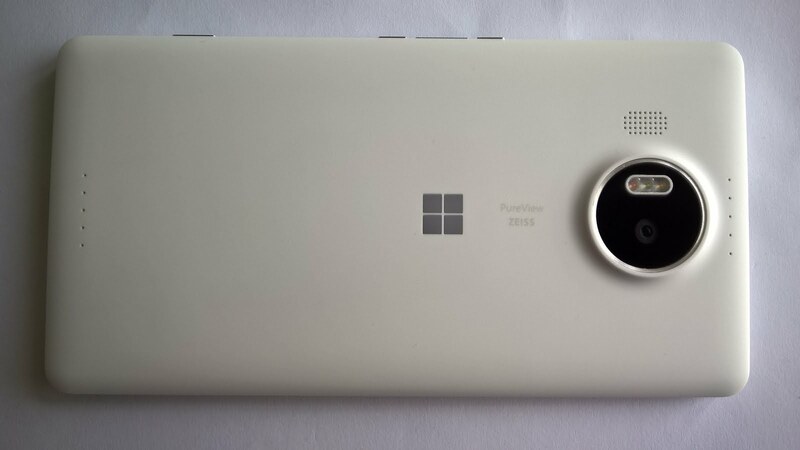 Microsoft Lumia 950XL has mics front and back. If you're going to go large you may as well go all out Xtra Large. 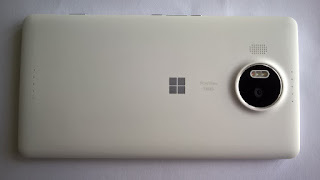 The Microsoft Lumia 950 XL is a 5.7 inch screen phablet equipped with astonishing binaural recording capability coupled with great video. It's a great value proposition as long as you don't think about Windows 10 Mobile future too much. KILLER: The Microsoft Lumia 950 XL inherits Nokia's four microphone array with noise cancellation DSP and records stunning binaural sound with good rear-noise rejection. PROS: The Microsoft Lumia 950 XL is currently the top-of-the-line Windows 10 Phone and its price has also dropped like a stone. Excellent condition used handsets can also be found for bargain prices. So for mobile recording with video it's a fantastic value proposition. It has everything you need - 'RichRecording' purports to capture true hi-fi sound from 20Hz - 20kHz with a sampling rate at 48kHz. Though it's not perfect it is the best audio recording with DSP in this class of device and captures a rich range of positional frequencies that generally sound great, particularly in headphones. The camera has a wide lens which is optically stabilised and a f1.9 aperture. The video above was shot using the 950XL onboard mic array. CONS: it's phablet sized so not ideal for every size of pocket. 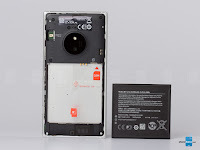 A lack of support from Apple or Google for Windows 10 Mobile means that, for example, getting video off the device is best done from a Windows PC. Even uploading directly to YouTube from the device is not officially supported and somewhat flakey. Sure you can record to micro-SD and then take the card out but that's extra faffing about too. Digital artefacts can be present in certain conditions but at levels lower than the Sony Xperia Z5 Compact. UGLY: integration with Google services is lack-lustre to non-existent, including reliable YouTube MCN uploading. As I do airninja prep on PAINthemovie I am reminded that my current ASMR recording setup still involves a bunch of faff with an external microphone. Wouldn't it be great if there was a video device that could record rich stereo sound along with the picture? Turns out, there is. And you'll find it that it's not from Apple - their devices after almost 10 years are still only capable of recording mono sound with the onboard mics (as crisp as that may be). I've been vaguely aware of Nokia's HAAC mic arrays for a while but, well, since the phones that carried them were always out of my price range for a punt and carried a 'losing' OS, I could never bring myself to take that punt. Firstly, the Nokia brand has tanked, hit the ground hard, so it's now possible to get the stereo HAAC devices much cheaper - worth taking a punt. I'm not talking about the newest Microsoft branded Lumia devices but ye olde Nokia branded Lumia devices - specifically the 930 and 830. Secondly, amongst others, the embedded video below - why was I not informed? I am amazed that this sound (as dynamically compressed as it is, natch) could be captured so articulately by a phone released in February 2014. 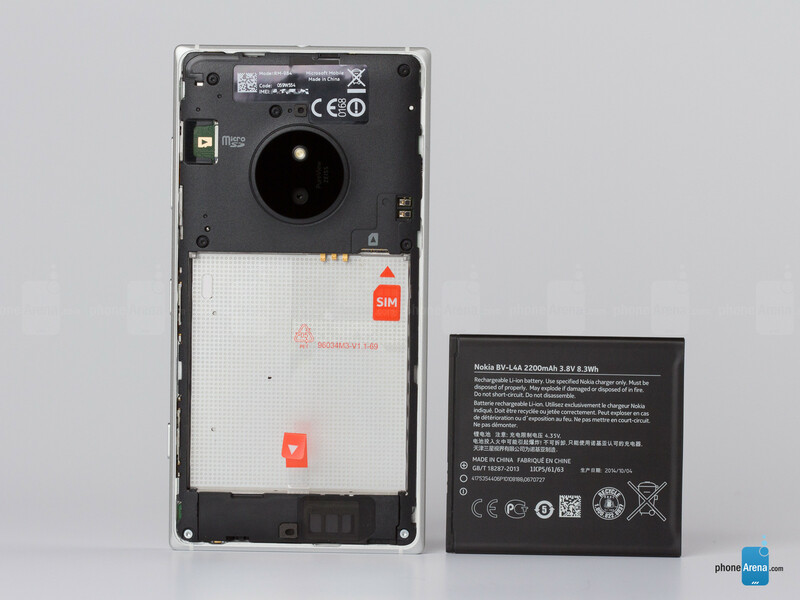 Oddly, on paper, the mid-range Nokia Lumia 830 offers better value to the ASMRtist than the one-time top-tier 930. Well for video the 830's smaller sensor is adequate, the 16GB internal storage on the 830 all but useless for video takes - however the 830 also offers expandable storage via micro SD card and a removable battery - whereas the 930 is fixed with 32GB non-expandable storage and a sealed-in battery that can't be removed. I've found used carrier-locked 830 in the UK for as low as £50. I've taken a punt on a £60 "excellent condition" used handset locked to EE - it could yet all go pear shaped (how annoying is it going to be to get video off the device for example?) but, man, it records sweet stereo audio to my ear - rivalling my expensive iOS gear for ASMR video recordings. One MAJOR caveat for my with the 830 is that it cannot record 60fps video, and that does limit its appeal to zero for HFR ASMR projects I am involved in. But, did I mention, the 830 records sweet stereo audio to my ear - with no extra gear required. Sweet enough to make me consider 30fps ASMR projects. I expect to get my 830 by early next week. If it's easy to get the videos off I think this will be a great device for ASMR recording. Microsoft's marketing department are missing a trick, I think! 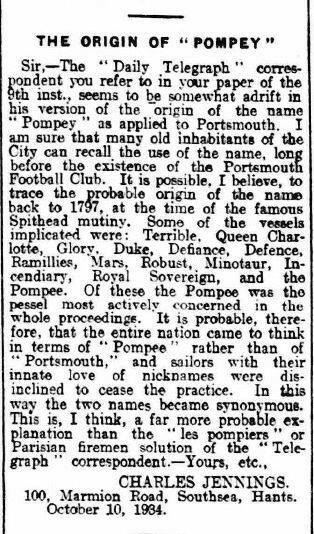 Contemporaries tend to think that 'Pompey' is synonymous with Portsmouth Football Club rather than a referral to the city of Portsmouth itself. That Portsmouth is an historical naval city cannot be denied. 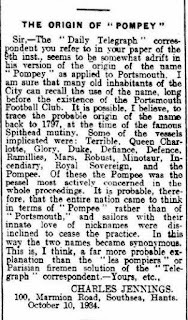 This press clipping dated October 10th 1934 from the Portsmouth Evening News may shed some light on my impression that Pompey was, and always has been, a moniker for the city at large. 100, Marmion Road, Southsea, Hants. I think Charles is very likely correct - and I'm sure the sailors liked a bit of footie, too. PORTSMOUTH, ENGLAND: Today Murlyn Films International, a British based independent film production company specialising in low budget movie production, announced that over 30 surviving works of late director Michael J Murphy from "Avalon" to "ZK3" are now available for free viewing online. Upon reaching this milestone, Murphy's archivist and documentary maker Mike Peter Reed said "It's been quite a journey to pull these works together from disparate sources including old VHS recordings, broadcast beta tapes, DVD and Blu-Ray screeners. 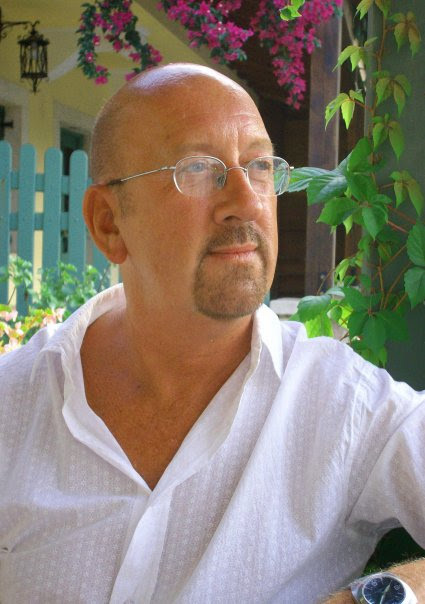 Sadly we lost Murphy in 2015 aged 64 whilst he was in preproduction of 'Pornophobia' but at least his back catalogue can now be enjoyed, entertain and inspire others for generations to come." Youtube is currently the second largest search engine on the planet. It stands to reason that anyone looking for Murphy's cult and obscure films would likely try a search on Youtube. Ease of uploading feature length content and subsequent reliability of distribution globally. Anyone can do it without involving a middleman or aggregation company. Longevity. It seems likely that YouTube will be around for at least as long as the internet exists meaning Murphy's work can be found and enjoyed by generations to come. About Murlyn Films International: Murlyn Films International is a British independent film production company based in the historical naval city of Portsmouth, England. Founded in 2013 through a creative collaboration between Michael J Murphy and Philip Lyndon, Murphy's back catalogue stretches back to an acclaimed production of 'Boadicea' in the late 1960s and includes pioneering works during the VHS pre-certification "video nasties" era of the 1980s.